Chhattisgarh is among the richest Indian states in terms of mineral wealth, with 28 varieties of major minerals, including diamonds and ranks second in the country in mineral production. The state holds a major share of coal deposits in India, which has led to the State also being a major power producer and being power surplus. It is the only state in India to have tin ore reserves. About one-fifth of the iron-ore in the country is mined in the state and one of the best-quality, iron-ore deposits in the world is found at the Bailadila mines in the South of Chhattisgarh from where it is exported to Japan and other countries. Rich deposits of bauxite, limestone, dolomite, and corundum are also found in the state, making it the ideal location for low-cost of production of end products such as cement and aluminium. During 2009-10, the state had contributed 14.09 per cent in the national revenue from minerals. Chhattisgarh is making significant investments in industrial infrastructure. The Chhattisgarh Industrial Development Corporation has set up four Industrial Growth Centres, five Industrial Parks and 12 Integrated Infrastructure Development Centres (IIDC). The state has three notified SEZs. 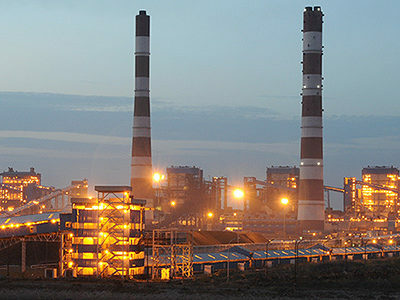 With excellent natural resource base, good rail and road connectivity to major ports and cities, direct air connectivity to all major metros, comprehensive natural gas pipe line network with a capacity of 30 MMSCDM across the State, excellent power supply and energy infrastructure, favourable policy initiatives such as the Industrial Policy 2009-14, SEZ Policy, and other such policies, investor friendly governance and support provided by the Chhattisgarh State Industrial Development Corporation (CSIDC) and the State Investment Promotion Board (SIPB), as well as a rich labour pool, the State is fast becoming an industrial powerhouse and an attractive investment destination for industries. Key industries in the State include mining, iron and steel, cement, power, IT and ITeS, biotechnology and pharmaceuticals, food processing, gems and jewellery, etc. Other industrial growth sectors include apparel, aluminium and metals, MFP and processing-value addition of MFP, handicrafts, automotive and engineering, etc. The state is the iron and steel hub of the country. 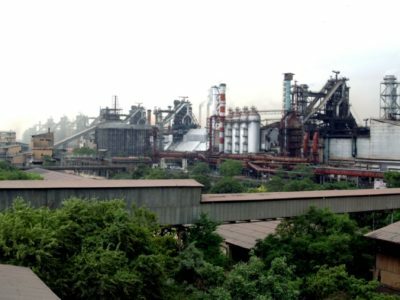 The Bhilai Steel Plant of Steel Authority of India Ltd (SAIL) produces more than 3 million tons of iron and steel per annum. In addition, substantial capacities have been set up by the private sector. In 2008-09, the state produced around 32.9 million tons of iron-ore. The state has widely occurring limestone reserves that support a strong cement sector. In 2009-10, total cement production in the state was 8.7 million tons. Going by the principles of the market Chhattisgarh has nearly all that it takes to attract large number of industries and huge investments inflows. Compared to other States, it has relatively better availability of ‘modern’ factors of production- locally available and abundant raw material, good quality land, adequate and clean water, low-cost labour, surplus power, and proximity to two major ports of the country. However, despite these qualifications the State has been unable to attract the scale of investments that it has potential for, primarily owing to reasons cited earlier- poor physical infrastructure, limited skilled labour, locked resources and LWE. 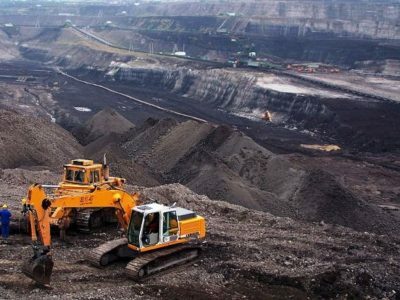 The above subsections have outlined the status of mining and industries in Chhattisgarh. The State is continually putting in efforts to maintain a favourable investment climate and enabling environment though a range of initiatives. Some of these are outlined below. The State Labour Commissionerate has been created to formulate an industry- friendly policy, which can simplify the complexities of various labour laws. As a part of this policy, it has been aimed to reduce the quantum of inspection that is complaint based under various labour laws. Simplified and consolidated annual return for various labour laws is also under active consideration. The State Unorganized Workers Social Security Act has been made in 2010and in January 2011 Social Security Board has been formed for unorganized workers. While the State already has a strong workforce base, this is being further enhanced by MoUs initiating the setting up of (a) International Institute of Information Technology(IIIT) at Chhattisgarh, and (b) setting up of ITI at Baloda, in the Champa-Janjgir District. The proposed IIIT shall be committed to the development of human talent and the availability of IT work force with special domains. The focus of the activities of the institute may be in the areas of bioinformatics, information and communication technology, Very Large Scale Integration (VLSI) and Embedded Systems, Computer Aided structural engineering etc. IIIT Chhattisgarh shall offer a range of degree programmes as well as Diploma with certificates. In order to increase employability and ensure availability of Technical Manpower, NTPC in association with Technical Education Department, Government of Chhattisgarh has proposed to set-up a new ITI at Village Baloda, district Champa-Janjgir under PPP mode. The proposed ITI will have all necessary infrastructure provision for providing quality technical and vocational training. To encourage development of allied sectors parallel to core sector. To generate self-employment as well as additional employment opportunities in industries to the local residents of the State. To promote private sector participation for the development of basic and industrial infrastructure. Towards improving scientific knowledge and evidence base and understanding of climate change and its impacts. The Department will commission cluster-wise or district-wise studies to estimate the carbon footprint of industrial clusters in the State. This would include a baseline study, as well as periodic studies. In line with the overarching State objectives of improving governance mechanisms, institutional decision-making and convergence. 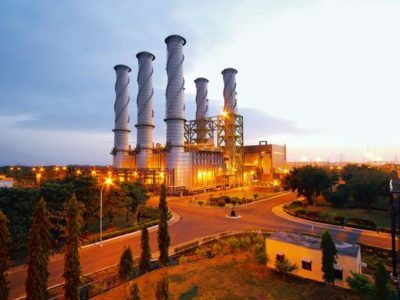 Exemption/Concessions for Promotion of Industrial Investment: Industries shall be granted subsidy/exemption/concession in following items as per their entitlement: interest subsidy, fixed capital investment subsidy, and exemption from electricity duty. Chhattisgarh, situated in the heart of India, is endowed with a rich cultural heritage and attractive natural diversity. The State is full of ancient monuments, rare wildlife, exquisitely carved temples, Buddhist sites, palaces, waterfalls, caves, rock paintings, and hill plateaus. Most of these sites are untouched and unexplored and offer a unique and alternate experience to tourists compared to traditional destinations which have become saturated. The State has taken a conscious decision to do away with past legacy issues and to adopt a fresh approach to Tourism Development. The Tourism Policy is focused on show casing the uniqueness of the State and to position it as an attractive destination for both domestic as well as foreign tourists. Propelled by its huge mineral reserve, Chhattisgarh has been the preferred hub for investments .The products like sponge iron, Steel Castings, Special Alloy Castings, Steel Fabrication etc. have high demand and are exported. The State witnessed export of ` 19,178 million in the 2009-10. 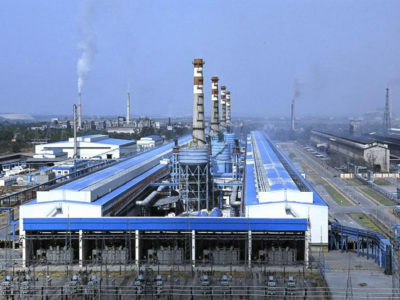 Bharat Aluminium Company (BALCO) is executing ` 47,439million expansion plans to increase its Aluminium plant production capacity from 100,000 tonne per annum to 345,000tonne per annum. Establishment of Poly Park at Tilda district, Raipur on 37 ha has been proposed. This will be developed as a cluster of polymer industries. Three New Rail Corridors being developed in the State having total length of 452 Km with a proposed investment of ` 4,500 Cr – (a) Eastern Corridor (180 Km) - Bhupdevpur- Garghoda- Dharmarajyagarh- Korba- Dongamoha; (b) East-West Corridor (122 Km) - Gevra road- Dipka- Katghora- Sindurgarh Pasan- Pendra road; and (c) Northern Corridor (180 Km) - Katghora- Parsa - Surajpur. The railways, SECL and the State Government are the key stakeholders with provision for allowing private users in future. While there have been no Chhattisgarh specific detailed studies on climate change available evidence shows several pointers, as in the case of the energy sector. Industry is likely to be vulnerable to a variety of climate risks, including extreme weather events that can adversely impact industrial infrastructure. Agro-based and food processing industries that rely on agricultural resources can be particularly vulnerable. Likewise, industries that are either water or energy intensive could also be similarly vulnerable to climate change and its impacts. Because of their financial and technical resources, large industrial organizations typically have a significant adaptive capacity for addressing vulnerability to weather extremes. SMEs typically have fewer financial and technical resources and therefore less adaptive capacity. As such, climate change is likely to disproportionately impacts smaller industrial establishments, in particular those in high risk or highly dependent on climate vulnerable resources such as agriculture. On the other hand, industries could also contribute to climate change. The industrial sector emissions of GHGs include CO2 from energy use, from non- energy uses of fossil fuels and from non-fossil fuel sources (e.g., cement manufacture); as well as non-CO2 gases. Many industrial segments also emit a range of non-CO2 GHGs including N2O from the chemical and food industries. Industries can also contribute to climate change by a variety of other means, including energy inefficiency. Institutional linkages are envisaged various agencies/departments including CSIDC, SIPB, the energy/power related agencies/departments, Water Resources Department, Forest Department, and others in addition to linkages with various industries associations, industrial groups and entrepreneurs, as well as with academia, civil society, international development agencies, private sector and financial institutions, and communities in general.